After learning Monday of devastating floods that left hundreds dead in the West African nation of Sierra Leone, IOM, the United Nations Migration Agency, immediately released USD 150,000 in emergency, first-response aid relief. 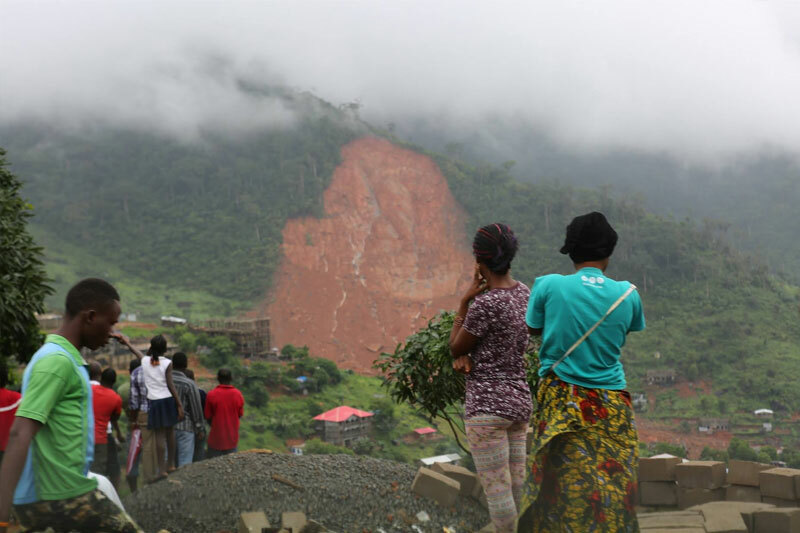 “IOM is ready to work with Sierra Leone’s government in any capacity it can, to respond to this terrible event,” said Director General William Lacy Swing Tuesday morning from IOM headquarters in Geneva. West Africa Regional IOM chief Richard Danziger, speaking from Dakar, Senegal, said IOM was joining Sierra Leone authorities and the UN country team Tuesday doing damage assessment in the impacted region near the capital, Freetown. Hundreds of citizens are reported dead with many more missing after mudslides and floods tore through several communities; search teams expect to discover more remains in the coming days and weeks. Access to potable water and widespread homelessness are expected to be immediate concerns for thousands of people in the capital, whose population exceeds one million. Flooding has caused havoc in Sierra Leone in the recent past. IOM this month inaugurated a water treatment facility located about 50 kilometers outside Freetown to provide safe drinking water to the population resettled at Mile 6 in the aftermath of the flash floods that ravaged Freetown in September 2015. Find more details here.